One of my favourite things about travel blogging is putting the spotlight on alternative destinations that you may not have thought about visiting before. Next up is the Black Forest in south west Germany, which I recently visited on a road trip adventure with my best friend Naomi. The Black Forest is best known for being the place where many of the Brothers Grimm fairytales were based, so it’s an area that has long been associated with folklore, fairytale and magic. It’s also a place of incredibly natural beauty, filled with spectacular waterfalls, expansive lakes, dense forest and mountains. 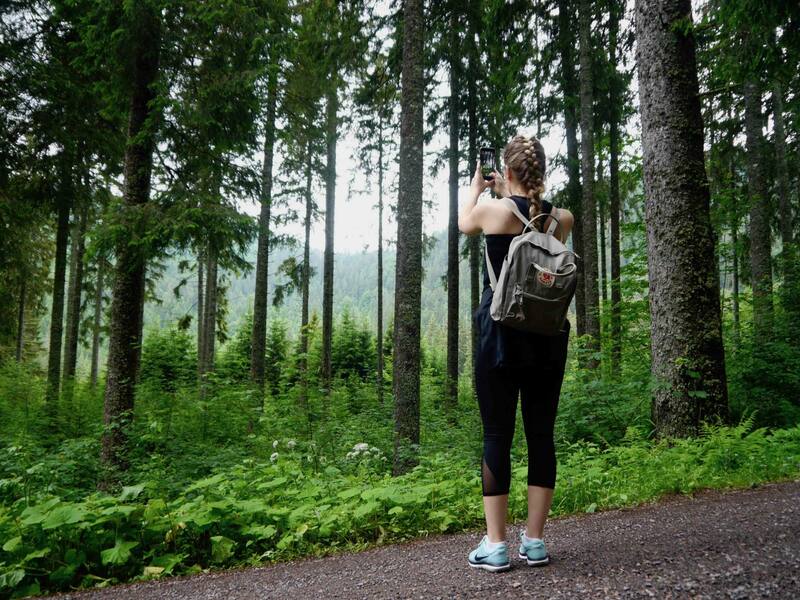 For the outdoorsy, there are endless things to do in the Black Forest. If you’re looking for an active and crowd-free holiday in Europe, The Black Forest is an outdoor playground. Based on my own trip to the Black Forest with The German Tourist Office , here are 7 amazing things to do in The Black Forest. 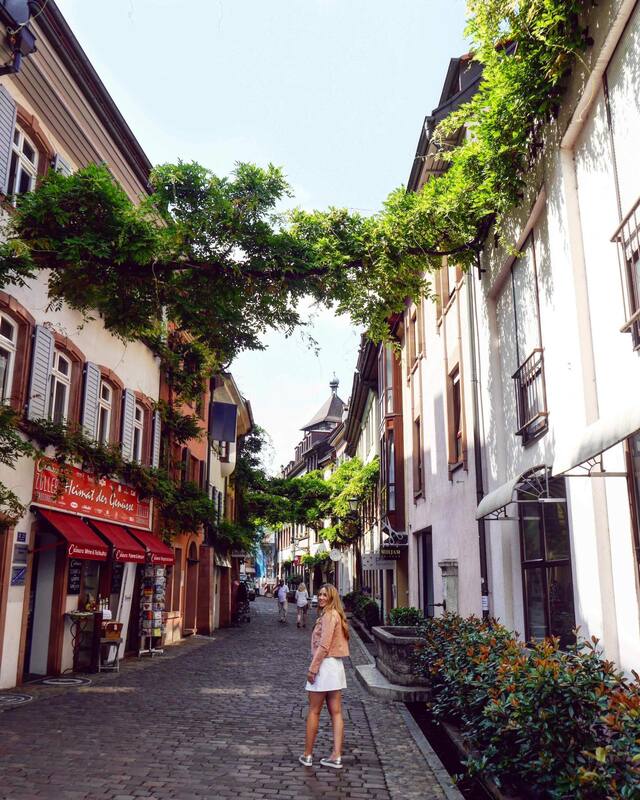 Before venturing deep into the Black Forest, a stop at the quaint and colourful town of Freiburg is a must for anyone visiting the area. Spend a day strolling through the pretty medieval old town with its waterways and cobbled streets. Start your visit to Freiburg at the Munsterplatz, which is home to the city’s cathedral and a daily farmers market selling everything from locally grown fruit, veg, flowers and other foodie produce. For a great al-fresco lunch option in the Munsterplatz, head to Oberkirch Restaurant and have a drink at the stylish SKAJO rooftop bar for some great views over the city. Nestled in the forrest just beyond the tiny town of Triberg is Germany’s tallest waterfalls. They’re easily the most beautiful waterfalls I have ever seen and trump everything I have seen in Thailand, Vietnam and The Philippines. For a small entry fee you can climb from the foot to the top of the waterfalls on a winding path through the forest. Two bridges means you can also walk across the waterfalls and look down at the cascading water below. 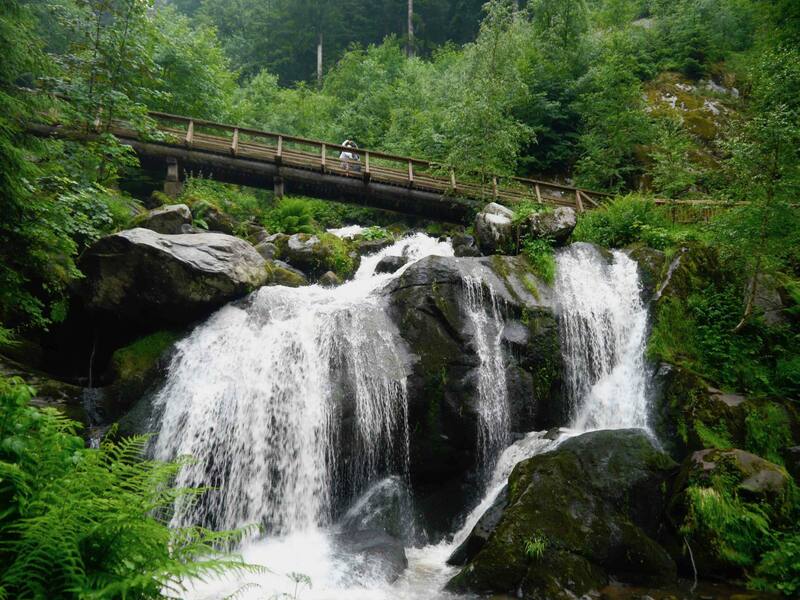 The Triberg waterfalls are totally enchanting and are definitely one of the best things to do in the Black Forest. 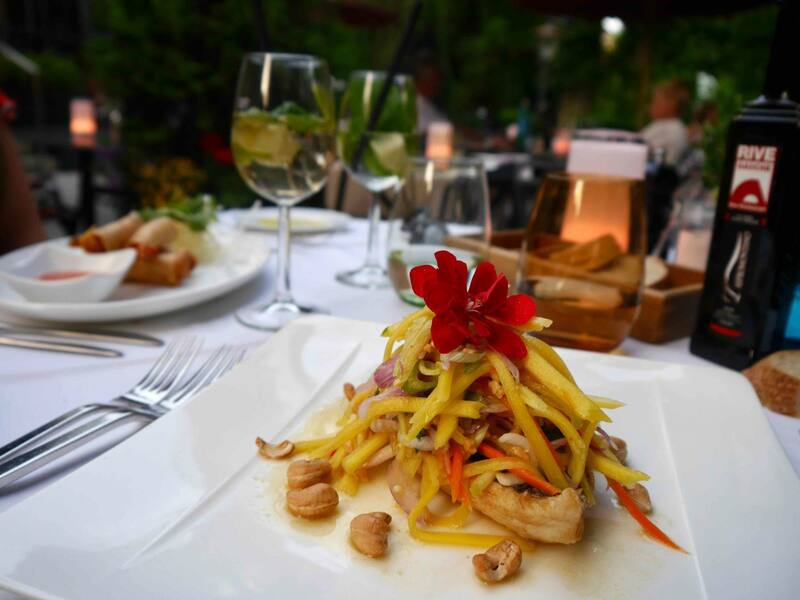 When it comes to food, the region is becoming known for much more than its famous Black Forest Gateaux. 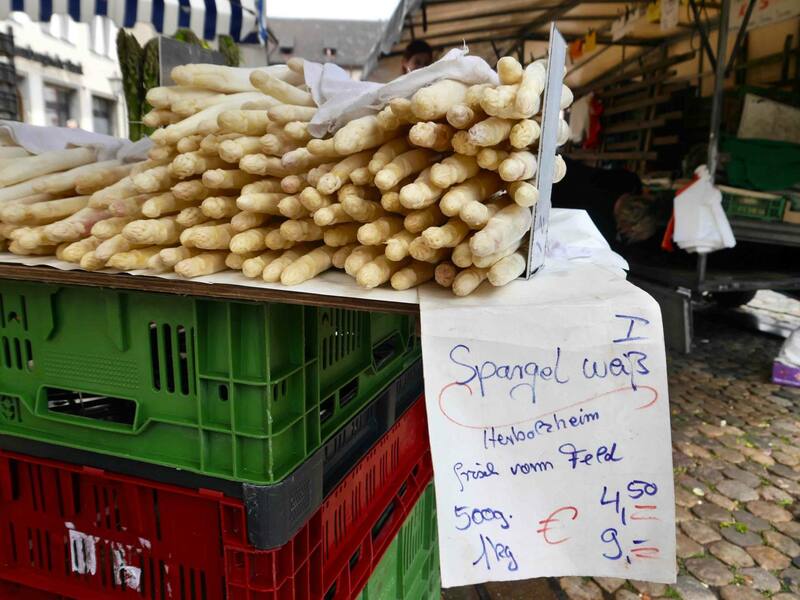 The locally grown white asparagus is a delicacy in the region that you’ll see on almost every menu and fruit and veg stall. Then comes the small town of Baiersbronn, which is possibly the most unexpected restaurant capital of the world. With a population of only 16,000, Baiersbronn is home to a total of 8 Michelin stars; one two-star restaurant and two three-star restaurants). If you’ve got a passion for fine dining and locally sourced, organic produce, The Black Forest is likely to exceed your expectations. 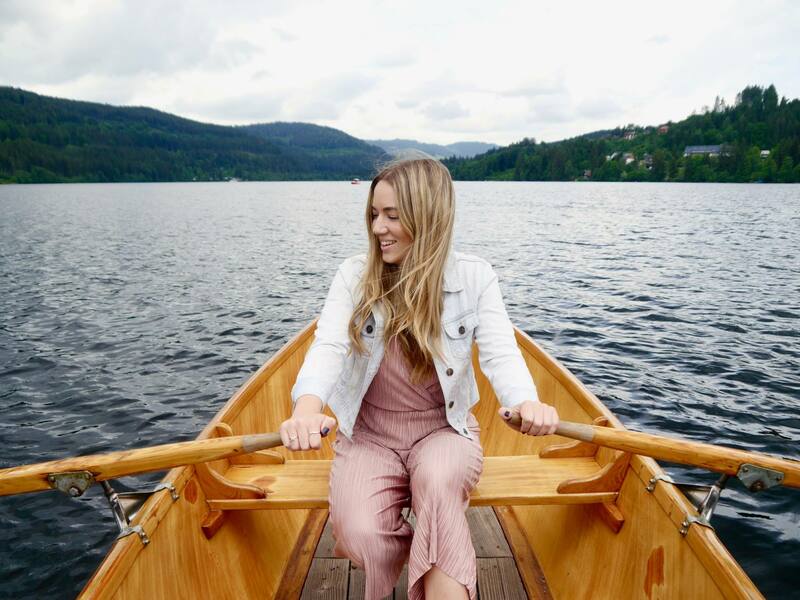 A visit to Lake Titisee is one of the more typical things to do in The Black Forest. It’s touristy, but for good reason. This spectacular lake is surrounded by a rugged vista of hills, mountains and trees and looks picture perfect from every angle. A wide boulevard of boutiques, cafes and gelato shops slope down towards the banks of the lake, where you can hire rowing boats, pedalos or hop on a larger passenger boat for a gentle lake cruise. 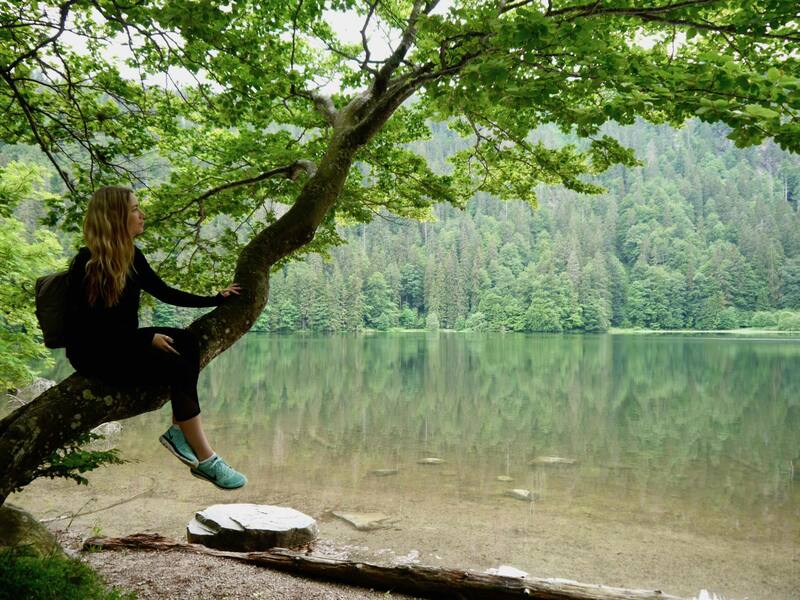 If you want to avoid the crowds, you can also do similar activities on the smaller and lesser-known Schluchsee Lake. The Black Forest is also home to a scattering of spa-towns, with Baden-Baden being one of the most famous. Wellness lovers flock to these towns and can spend a week or two touring the many different spa hotels, hydro-pools and massage treatments. 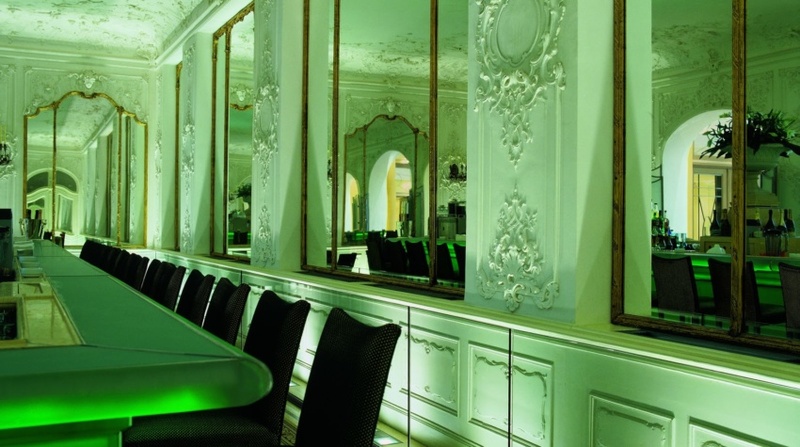 But for the ultimate Black Forest spa experience, head to Brenners Park Hotel and Spa. I checked in here for 1 night of my trip in the Black Forest and it was a real highlight. This grand-dame hotel exudes timeless style and their newly-renovated Villa Stephanie spa is one of the best I’ve ever seen. Stay tuned for a full review on Brenners Park. Lake Feldsee feels like a special find as you can only get there on foot. But if you’re willing to put in the physical work, you’ll be rewarded by this pretty little lake which is almost perfectly round, with a diameter of 350m. The lake is surrounded by tall alpine trees which reflect perfectly against the still water. Be sure to follow the trail that goes all around the lake to see it from every angle. Without cars or crowds, Lake Feldsee feels like a little enchanted haven. The lake is close to the town of Feldsee and the nearest car parks are 3-4km away so expect to be walking for around an hour. Known in German as the Ravennaschlucht, this impressive railway viaduct is a must-see in the Black Forest. At the foot of the Ravennaschlucht there is a hub of facilities including a few restaurants, a glass-blowing shop and a cuckoo-clock shop. The closest town is Hinterzarten, where you can begin this trail which is 8km long. However, if you’re travelling by car and want to skip the hike, there is also a car park about 5 minutes walk from the Ravennaschlucht. If you’re visiting the area in December, be sure to visit the wonderful Ravennaschlucht Christmas market. These 7 amazing things to do in the Black Forest only scratch the surface of this special region in Germany. 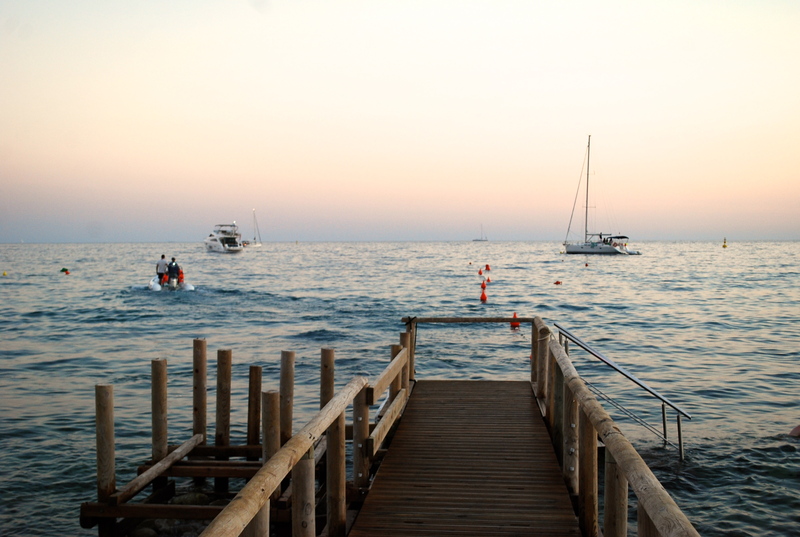 There is so much natural beauty to discover and you’re likely to feel like you’ve got it all to yourself. Watch out for my 7-day Black Forest Itinerary which will be coming to the blog soon. Looks like such an epic vacation! I’m curious if you stayed in Freiburg the whole time and did day trips or if you stayed at a different hotel each night? I’ll be in BF for the same amount of days and we’re deciding where to commute from the same city via train or if we should rent a car and stay at a new location each night (not sure how hotels accept cars), but would love your advice! Your photos are super amazing. It really got me excited while planning for my trip to black forest! Thanks! Oh my goodness, the Black Forest looks so beautiful! Oh it really is! The photos don’t do it justice but I gave it my best shot. Such a beautiful place! Looks like you got to see and do lots of different things! What a hidden gem!! It looks like such a beautiful place! I’ve been to the Black Forest before and this has brought back some amazing memories and not just of the famous Gateau! Such and understated part of Europe yet so pretty and so much to do. Great post as always Jess.